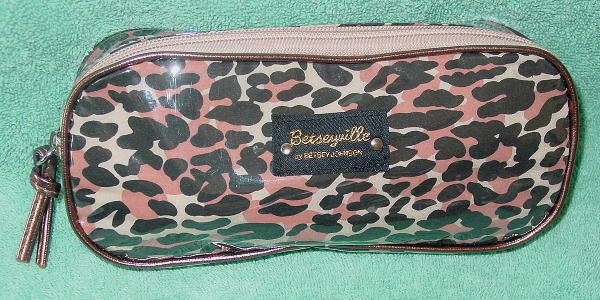 This never-used animal print makeup bag can also be used as a small clutch. It's in black, cocoa, and bone fabric with a clear vinyl covering. 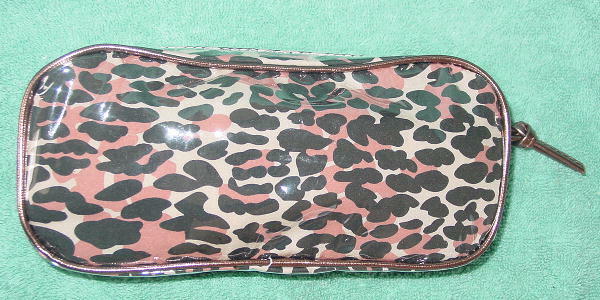 There is a copper color faux leather edging and zipper pull. The front has a black fabric tag with two silver-tone rivets and Betseyville by Betsey Johnson in gold-tone metallic thread letters. It has a light tan-bone fabric lining.